We read Luke 13: 10–17. Question 1: In these verses how do the Lord, and Luke, heighten the contrast between the woman before and after? By emphasising the ‘bent’ and the ‘straight’, we may well be meant to see these as metaphors for sin and righteousness. We read Luke 13: 18–21. Question 2: The two small parables about the mustard seed and the yeast) say something obvious about size. What else do they say? Growth is a major factor in both little parables. And the fact that birds could perch in the tree suggests there will be unclean – non-Jewish people - in the Kingdom. What sort of tree Jesus had in mind is not clear; mustard seeds do not normally grow into a tree. Was Jesus, with his great sense of humour, deliberately suggesting that the impossible would happen? Yeast too is unclean, with the same suggestion. Nations will come to your light, and kings to the brightness of your dawn. Your gates will always stand open, they will never be shut, day or night, so that men may bring you the wealth of the nations— their kings led in triumphal procession. Then will all your people be righteous and they will possess the land for ever. They are the shoot I have planted, the work of my hands, for the display of my splendour. The least of you will become a thousand, the smallest a mighty nation. I am the LORD; in its time I will do this swiftly. The Jews of Jesus’ day were inclined to forget the bit about ‘all nations’ and think they were the only privileged people who would see the Kingdom. Jesus is saying that the situation will be much reversed if they are not careful – as they weren’t. We read Luke 14: 1 – 14. Question 3: Why does Jesus not say something like ‘If you come back tomorrow I can give you proper attention and not offend anybody.’ Instead of (Luke 14: 3 – 5)? Jesus is using the situation as a teaching opportunity. He is saying that the human situation, demanding the healing of the man, is more important than the religious duty of keeping the Sabbath. 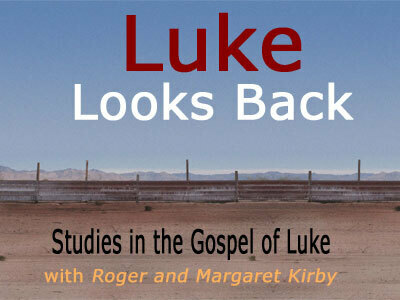 At first glance Luke 14: 7 – 14 reads more like advice than a parable. There are two hints that it is a parable: the word translated ‘honoured’ near the end of v 10 is the same one usually used for ‘grace’, so it is literally ‘get grace’; and the saying in v 11 is obviously like Luke 13: 30, which refers to the kingdom. Question 4: Necessarily, some are Chief Executive Officers, bishops or head teachers. How does the teaching (Luke 14: 8 – 11) apply to them? They must be careful not to exalt themselves. If others exalt them that is alright. Once again Jesus is emphasising the importance of motive in all that we do. Other people can not see our motives but we know what they are, if we think about them, and the Lord knows anyway. Jesus breaks the accepted social conventions of good behaviour (Luke 14: 4, 7, 12). Question 5: Why does Jesus do and say things that so offend people? Does this give us as ambassadors of the gospel a licence to offend people? Jesus places the rules of his Kingdom above the social conventions of his day. He wants people to understand that. We should only offend people for the same reason and then not if we can avoid doing so. We read Luke 14: 15 – 24. The background to the implied question in 14: 15, who will be at the great feast in heaven, is interesting. Isaiah clearly thought Gentiles would be present in his prophecy of that event that we have already looked at. Jews of the time of Jesus could not accept that and suggested things such as - that the angel of death would be present to destroy the Gentiles, forcing the believers to wade through the blood to reach the banquet! Jesus is being asked for his opinion. We read Luke 14: 25 – 35. Question 7: There are 3 conditions here (Luke 14:26, 27, 33 and in 18, 20) for discipleship: renouncing family ties, being prepared for suffering and forsaking possessions. Which is the hardest, which the easiest of these? The answer to that question is up to you. Even allowing for the fact that the ‘hate’ of Luke 14:26 is another example of exaggeration for effect few are prepared to renounce family ties as completely as this suggests. To do so seems to run counter to all other NT teaching. Question 8: When I was at university, a long time ago, the Gospel sermons on a Sunday evening were expected to include a section on ‘counting the cost’. It did not appear to lessen the number of converts. How does that compare with what you hear as the preaching of the good news? That was a tremendously good thing to do and fully in agreement with what Jesus taught in these verses. That has been the second successive long passage with many small episodes, stories and parables. Since you have got this far – well done. The next study includes the parable of the prodigal son so it is rather easier to understand what it is all about. Look forward to it!